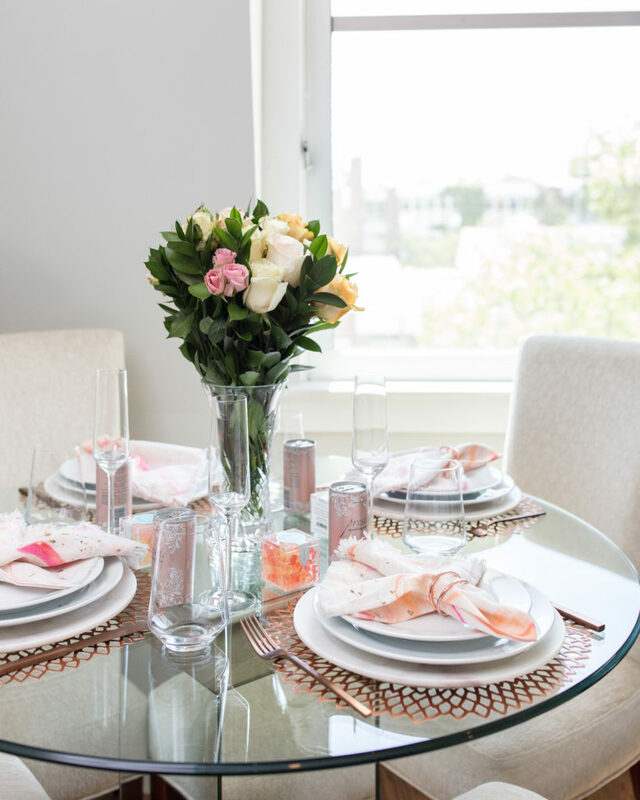 I love a feminine look and this table setting achieves just that, while not overloading you with pink! I like little touches that give you that girly or feminine vibe while still being classic and on trend. 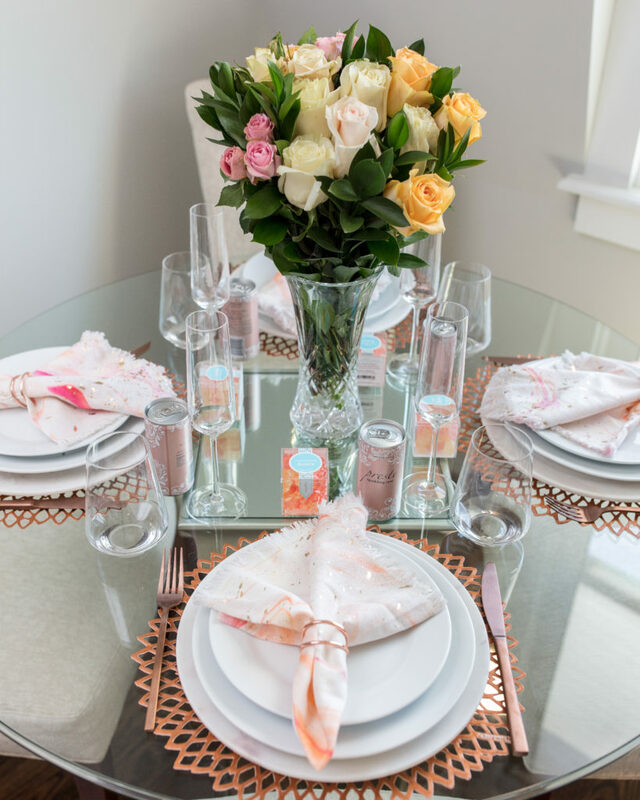 For this tablescape, it was accomplished by using a rose gold/copper base with these fabulous Chilewich placemats and rose gold West Elm flatware (I’ve started to use them so much more). 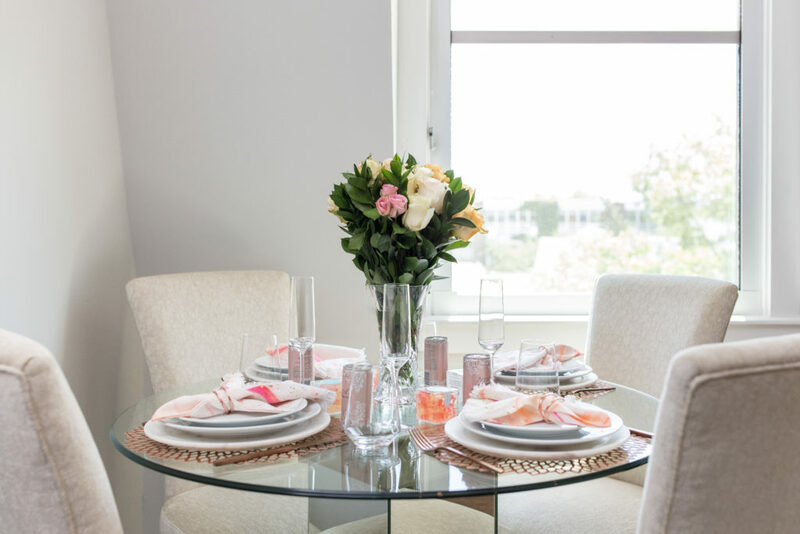 Since it was a casual luncheon, I thought to stick with everyday white dinnerware which provides a clean look. 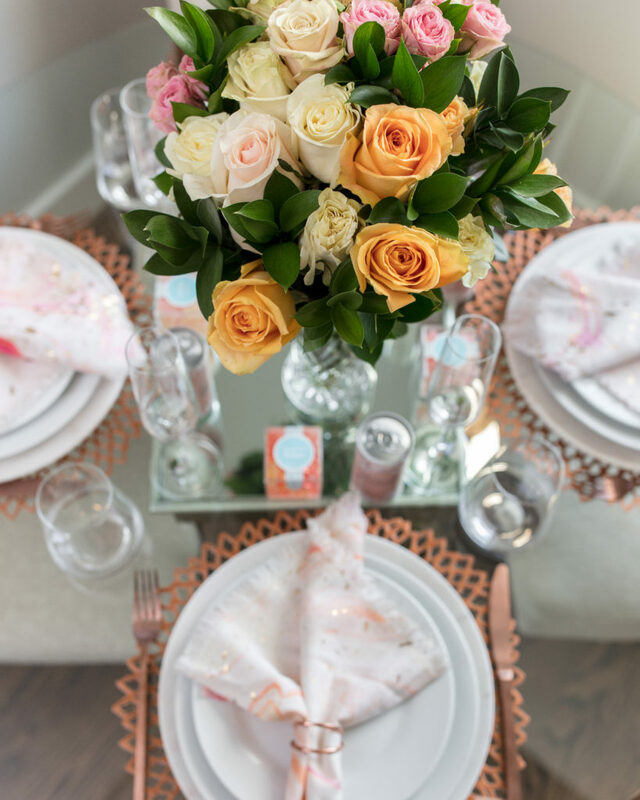 One of my favorite accents are these beautiful, marbled napkins from Anthropologie – I love the different blush pink tones and bits of gold. 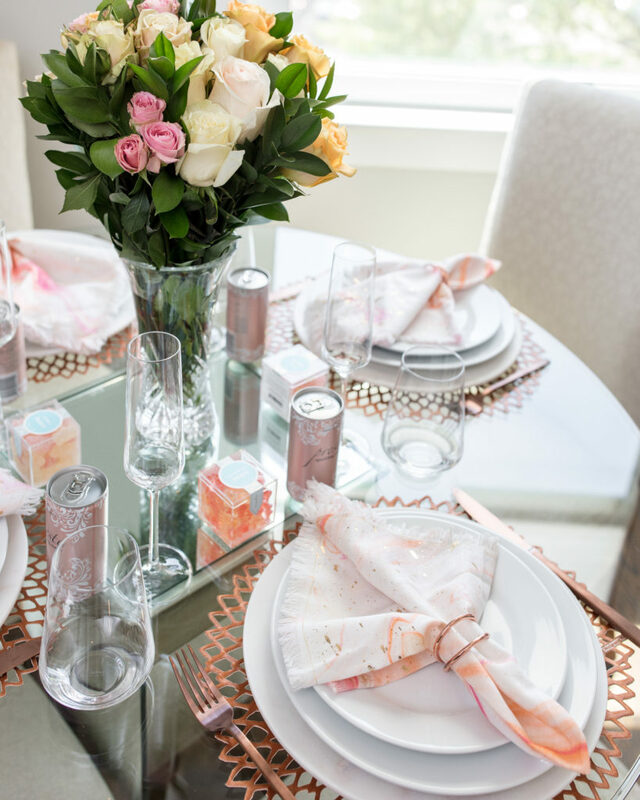 They looked especially nice with the simplistic copper napkin rings (that don’t take away from the napkins). 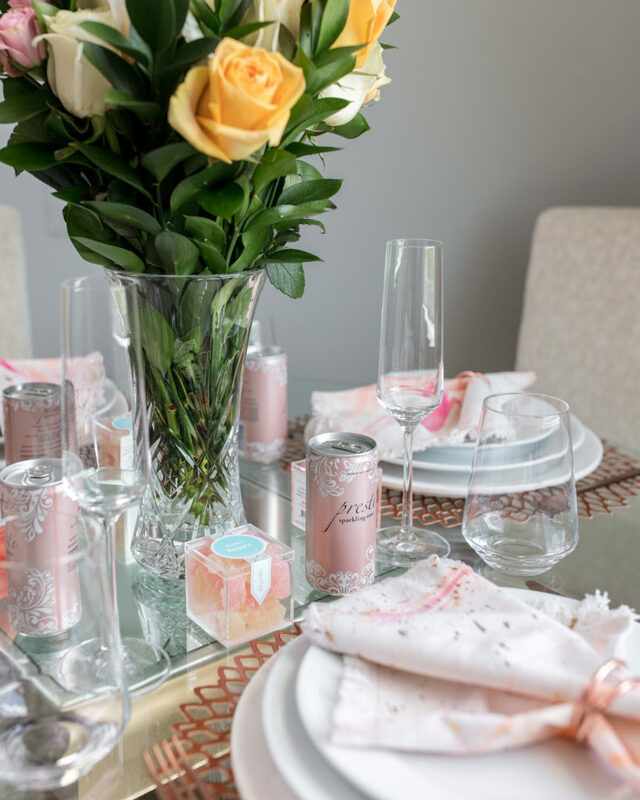 When selecting the glassware, I went with my go-to Crate and Barrel tour collection – the champagne flutes and the stemless wine glass that I actually use for water. 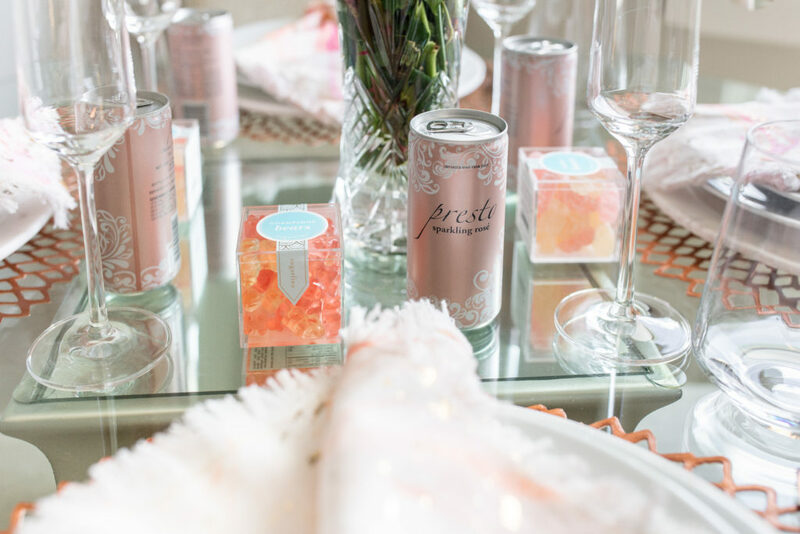 I selected the champagne flutes because well of course I’m serving champagne, darling – and because of the super cute Presto Sparkling rosé cans that I placed on the table. 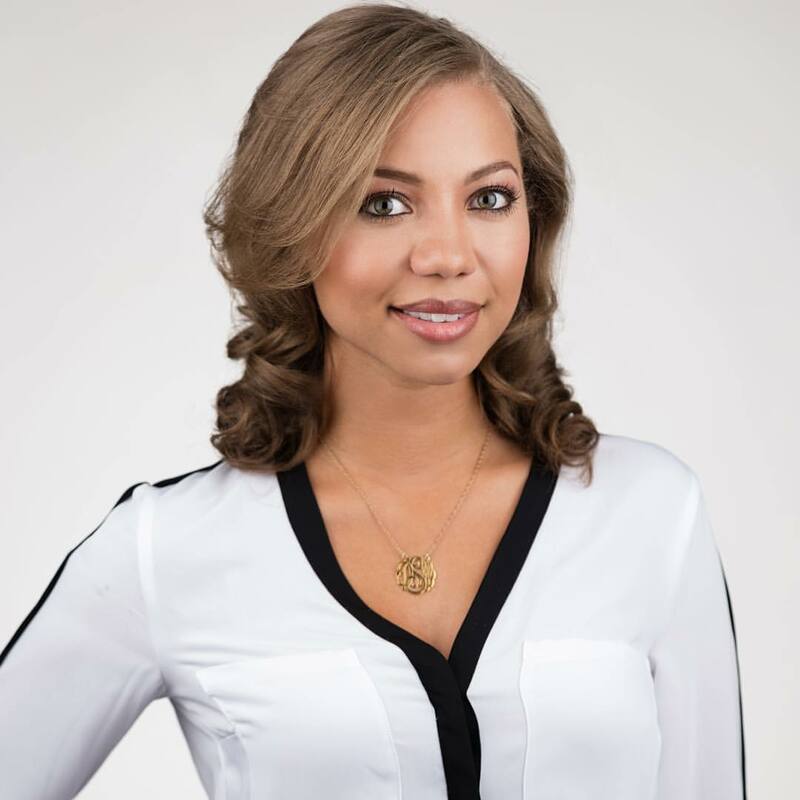 Instead of pouring a glass of champagne on arrival, I thought it would be nice to have my guests serve themselves – sometimes you just have to switch it up! By the way, has anyone else been noticing the influx of canned alcoholic beverages lately?? I just saw another brand in Whole Foods recently that does sangria….. But anywho…I thought they were cute and they actually taste pretty good. I love cute accents to switch up the lunch/dinner party norm. 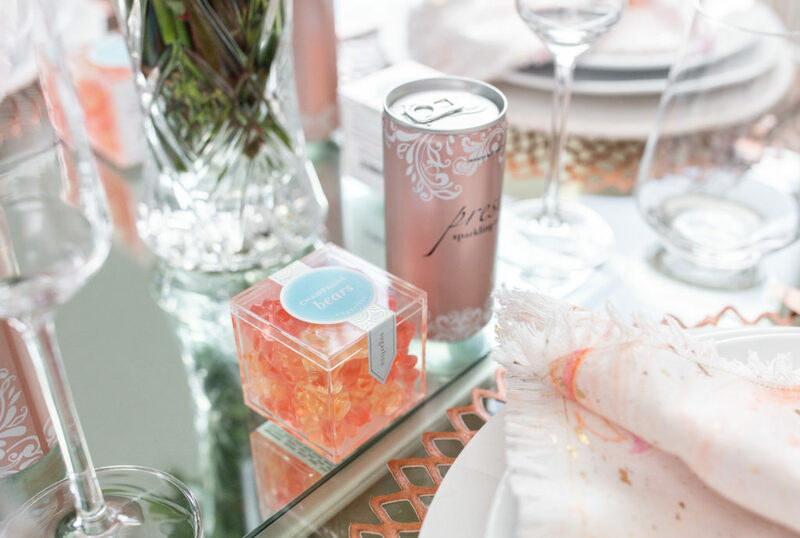 As a sweet treat to enjoy after lunch, with a glass of sparkling rosé, or to take away, I added my FAVORITE Sugarfina champagne and bubbly bears.